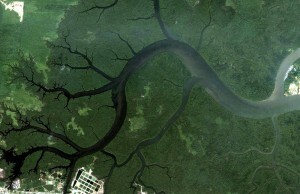 scottyea wrote: Here's a cool link from someone at my alma mater on geographical fractals found via Google Earth. Q: What did the kerb say to the cracked pavement? Cracking of surfaces can produce similar patterns to lichtenbergs, but it occurs in the opposite direction. You get the big crack (like the valley) first, followed by ever-smaller tributaries. This is in contrast to the conventional argument for rain erosion of mountains, where the tributaries are created locally on the high ground and flowing downwards and joining to form increasingly large streams and rivers. In addition, when the surface is raised by the cracking then the valley appears to be upside down and flowing uphill, with the estuary like a crater at the very top. I haven't yet seen any compelling evidence that natural rain and water erosion can create similar patterns on ground that was not already approaching a lichtenberg form, whether it be formed electrically or by surface cracking. Has anybody ever demonstrated erosion as being capable of creating fractals like these? Maybe these scars were caused by skin erosion? Seb, for the answer to your erosion question, check out the Mississippi basin and Mississippi delta. Some interesting volcanic mountains in Chad, the Tibesti mountains, look to me to have some traits that look "electrical," and yet they are known to be volcanic in origin. I'm just wondering how how certain we can be of at least some electrical characteristics. I am no expert. These are recent volcanic, and recently eroded features. Both charge dispersion [a la lictenberg patterns] and erosion follow the physical principle of the path of least resistance, therefore display similar superficial designs. This does not allow one to conclude with any certainty that all, or even most lichtenberg-like patterns are of electrical origin. 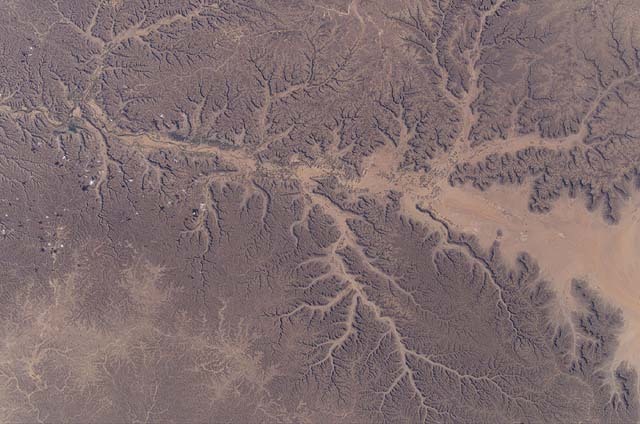 Dendritic drainage pattern cut into loess upland in Nebraska. This is a page explaining the 'random' dendritic pattern at a site in Negeria/Cameroon, but their proffered process sounds rather wishy-washy to me. On Mars, they are water erosion features from a wet past. Surrounded by hexagonal craters. them just seem to end without any sign of where the water would have continued to. The Hills of Mars. An earth based perspective. Inverted dendritic stream patterns. That inversion process is quite something. Particular Locations of Electrical Scarring? Best Visual, Graphic EU Evidence? Rivers seem to present quite the challenge when it comes to explaining their origins and progressions. In this article, the main image just smacks of electrical phenomena having created the original landform. Maybe they do progress through erosion, but I think they may well have gained most of their shape almost instantly. A couple more links. Much of the questioning of the standard model of river formation is from the Creationists, and I think they raise some very valid arguments. I haven't included any of those sites here, but the Green River formations seems to be the most discussed. Please add any other interesting or perhaps controversial links you come across. How to make lichtenberg figures in plywood with a mere 15,000 volts. Some here may find this interesting. 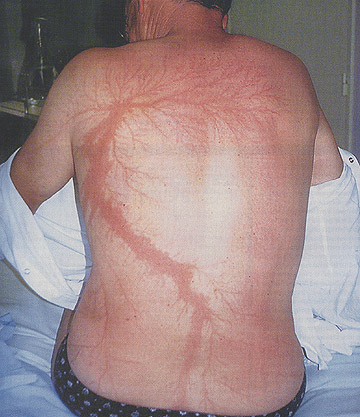 Being the non-expert that I am, I always assumed that lichtenberg figures were always formed quickly, such as by lightning. While not being specific, whoever did this says it was a very slow process and the video is speeded up a lot. The experimenters here may find a few ideas in this video. Looks promising to me, especially when you consider the similarity of the structures in the wood to those of the grand canyon and our old friend the martian surface. Maybe the process would be faster on a larger, planetary scale. I don't know who these scalar things work so I couldn't say for sure. One thing that struck me was that the wood only smoldered rather than bursting into flames. Maybe they were blowing any fire out as it sprang up, I don't know, perhaps. Anyway, very impressive. Great video, this deserves a lot more discussion than it is getting. I was very surprised at how long it took for the etchings to occur. This is a video made with time-laps photography. If you look closely you can see the plasma filaments moving across the surface. Scaling this up to global plasma discharge, it would seem that features on Mars would have taken days, months or even years to happen. I seem to remember Thunderbolts members describe the process taking as little as minutes. Thunderbolts members describe the process taking as little as minutes.